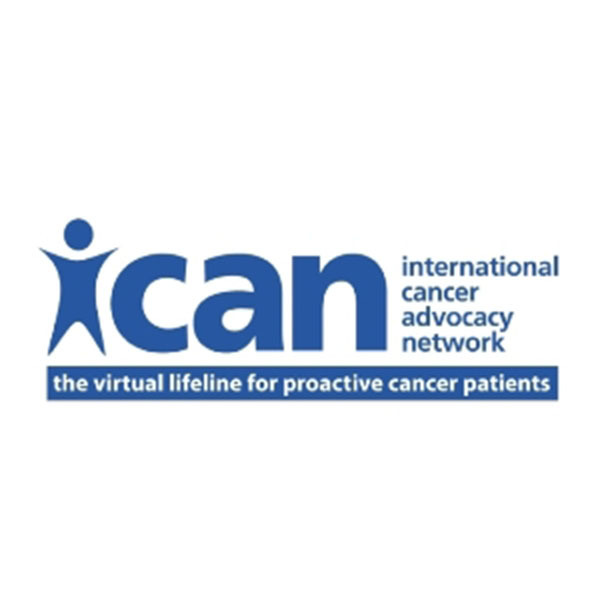 CURE sat down with Marcia K. Horn CEO of International Cancer Advocacy Network (ICAN), and ICAN's Physicians Advisory Council chairman, Robert H. Tamis, MD, co-inventors of ICAN's Remission Coach to discuss the organization's clinical trials search engine that is in development. Please explain the objectives of Remission Coach. Who is its primary user audience—physicians, patients, caregivers? Tamis: Remission Coach, once launched when we receive the remaining funding to complete its development, will be used by patients, families, physicians and essentially everyone who is part of the clinical trials enterprise. It was developed by ICAN, a 501(c)(3) charity, based on our experience serving patients in the U.S. and abroad. After working closely with patients on clinical trials enrollment, we saw the need for a clinical trials search engine that would better connect patients with the most appropriate trials, as well as empower and educate patients during their cancer journey. Horn: Remission Coach is revolutionary because, as Bob Tamis has designed it, it reverses the status quo. Currently, patients have to search for the right trial. Remission Coach will allow the most knowledgeable, highly motivated clinical trial experts to use our search engine to find the right patients. How should it be used in relation to a patient's current treatment regimen? Tamis: Remission Coach is a complement to current treatment. As data are entered, patients become aware of tests (such as molecular profiling) and procedures that were possibly not explored by their oncology team. When the record is complete (with personal, identifiable information removed), clinical trial recruiters can then search these anonymous records for eligible patients. How does this differ from ClinicalTrials.gov? Tamis: ClinicalTrials.gov and similar services require patients to search for relevant clinical trials by searching for their particular cancer, by reading and attempting to understand the inclusions and exclusions written in complex terminology (often unfathomable to a layperson), and finally by contacting the clinical trial, hoping to qualify. When patients do not qualify, they must repeat this time consuming and frustrating process for another trial for which they might qualify—all while the clock is ticking. Horn: Remission Coach will reverse this situation by supplying data that are searchable 24/7/365 by multiple clinical trials, and having those trials find the right patients. The still-anonymous patient will then be notified through the “matchmaker” service of Remission Coach and will have the option to accept, reject or ask for more information about the trial. How are patients matched to potentially life-saving clinical trials? What criteria need to be entered? Tamis: Each clinical trial has different criteria for the patients it wants to recruit, so we would be collecting all appropriate information from the patient (or physician or caregiver). When patients consistently update their records, clinical trials using Remission Coach can securely search that anonymized data and connect the patient to the appropriate trial at the most convenient location. How is the product updated with regard to new clinical trials? Horn: Instead of Remission Coach being updated with new clinical trials, the patient’s medical record is updated so that clinical trial experts and recruiters can locate the most appropriate prospective candidates. That is a major difference between Remission Coach and other clinical trial search engines. Tamis: A unique feature of Remission Coach is that when a new patient enters data into the program, the record is immediately accessible to any clinical trial permitted to search our database. Thus, Remission Coach is a dynamic system, continually updated by new patients desiring to enter a clinical trial. If a clinical trial searched Remission Coach and found only a certain number of eligible patients, they might find another batch the very next day. Is there a cost to the patient? Horn: At this stage, we hope to secure funding from angel investors and/or philanthropic funding from the general public as well as from biopharmaceutical companies and contract research organizations (CROs). This will let us finalize the development of Remission Coach and cover the costs of the patient database. In the future, the ongoing funding of Remission Coach would come from a subscription model paid for by the companies and organizations that use the service. If patient information is entered by the physician, does the physician only have access, or can the patient have access? Tamis: The patient is in complete control and can give permission for a physician, family member or caregiver to have access to Remission Coach to enter data, or assist in any way. Also, Remission Coach is designed to accept Electronic Data Transfer (EDT) into the patient’s record so that laboratory results, imaging studies, and physician records can be encrypted and downloaded (only with the patient’s consent), making it easy to have patient data entered into our system. Remission Coach is not only HIPAA compliant, it is beyond HIPAA compliant. We consider protecting the privacy of patients to be a sacred trust. What will the next version of Remission Coach look like? Horn: Our focus now is cancer—to make sure patients have the latest information and technology available. Soon after we launch the cancer version of Remission Coach, we will be expanding to all chronic and lethal diseases, making it possible for more patients to access an appropriate clinical trial in their disease area which will hopefully extend their survival and improve their quality of life. For more information, please email RemissionCoach@askican.org, or call (602) 618-0183. ICAN is on the web at www.askican.org.